This Spiced Sangria is perfect for entertaining and can be adapted with any of your favorite We Olive Balsamic Vinegars. We like a darker balsamic vinegar, like our Aged Balsamic or Mission Fig. If you’d like to use a White Balsamic, like peach, try swapping the apples for peaches and nectarines! Add two of the cinnamon sticks, apples and oranges to a large pitcher. Add the wine and balsamic vinegar and let steep at least four hours or overnight. To serve, add the ginger ale and stir. Fill the pitcher with ice. 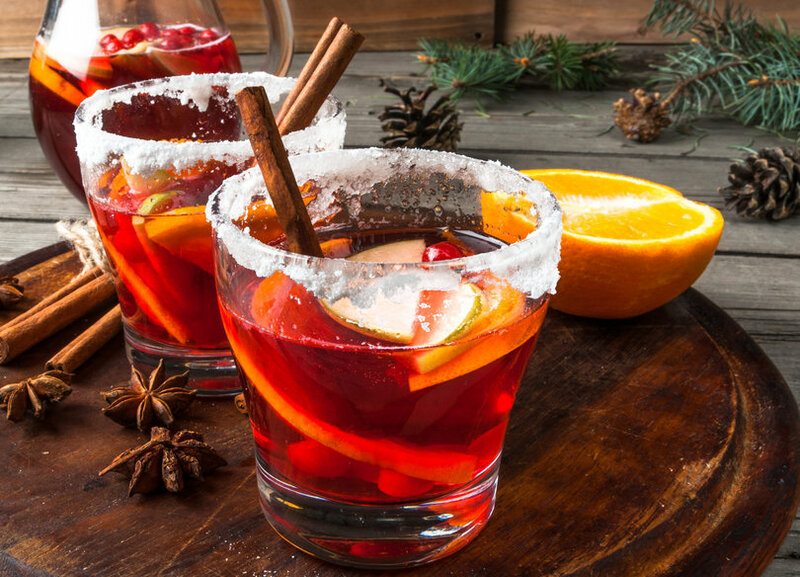 Pour the sangria into glasses filled with ice and garnish with a cinnamon stick. Non-Alcoholic Version: You can easily make this a non-alcoholic sangria by replacing the wine with equal parts cranberry juice and ginger ale.